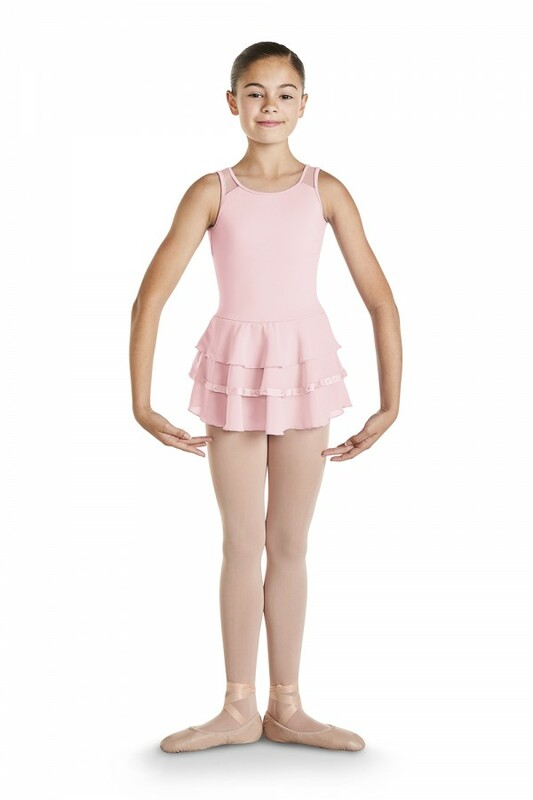 A sweet and sophisticated option for young dancers. Soft mesh tank straps wrap over the shoulders down the back with an open keyhole. A triple tiered skirt falls softly from the waist, the second tier featuring a diamante trim. A modest scoop front and high bow back for additional coverage.